The Tragically Hip have announced dates for a farewell tour following news that frontman Gord Downie has been diagnosed with terminal brain cancer. The month-long 11-date run across Canada in support of forthcoming June 17 album, “Man Machine Poem”, will kick off in Victoria, BC on July 22 and wrap up in the band’s hometown of Kingston, ON on August 20. Tickets for the Man Machine Poem Tour will be available on Friday, June 3 at 10am local time. The head of neurology at Sunnybrook Health Sciences Centre in Toronto, Dr. James Perry, told reporters at a Tuesday press conference that Downie has glioblastoma, an aggressive form of brain cancer. CTV News reports Perry said Downie developed symptoms in December 2015 when he had a seizure in Kingston that led to an emergency room visit. A brain scan revealed a tumour on the left side of his brain that would be impossible to remove completely. Doctors were able to surgically “excise the bulk of the tumour” and Downie has since undergone 30 radiation therapies; that was followed by chemotherapy treatment that ended last month. 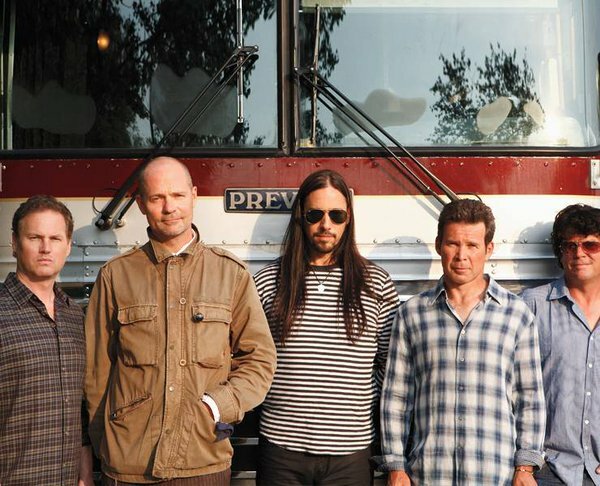 One of Canada’s most beloved bands, The Tragically Hip formed in 1984 and have issued 12 studio albums to huge success in their homeland, earning 14 Juno Awards and inductions into both the Canadian Music Hall Of Fame and Canada’s Walk Of Fame.